I represent mortgage brokers, loan originators, title agents, banks, and mortgage lenders in all aspects of state and federal mortgage law, including assistance with licensing in all 50 states. I also provide legal counsel on compliance with RESPA, ECOA, Truth-in-Lending, and other mortgage regulations. We have specific experience with the licensing and registration requirements that apply to bank subsidiaries, credit unions and their subsidiaries, and CUSOs. An Attorney Who Knows the Mortgage Business! I am one of a few attorneys in the country holding the designation of Certified Mortgage Broker. I have practiced mortgage law for more than 30 years as both in-house and outside legal counsel to mortgage companies and financial institutions. As a result, I possess extensive knowledge and familiarity with the mortgage banking industry, and can confidently represent my clients’ interests – they don’t need to train me in mortgage law. The mortgage licensing process has become more complex in the wake of the SAFE Act. Now mortgage loan originators must be licensed or registered in addition to the companies that employ them. We have extensive experience with the National Mortgage Licensing System ("NMLS") from both the company and mortgage loan originator standpoints. I help mortgage brokers, lenders, mortgage loan originators, and other mortgage servicersthroughout the United States obtain licenses and register as foreign corporations to do businesses in other states. I can handle the entire licensure process, from filling out the forms to following up with the licensing agency. I am familiar with the application process in all 50 states,including the hidden requirements not explicitly stated on the forms. These insights gathered from experience can speed up the process by anticipating barriers to approval. I assist many clients who have started the application process themselves and have run into problems. Our firm can also help you with periodic report requirements, such as quarterly and annual mortgage call reports (MCR). I provide legal counsel to banks, title companies, mortgage brokers and lending institutions throughout the U.S. on all aspects of federal regulations and state laws pertaining to mortgage lending. RESPA (Real Estate Settlement Procedures Act) – I can advise mortgage lenders on federal regulations relating to mortgage loan closing fees and “kickbacks” for referrals from real estate agents. I can help set up joint venture arrangements between lenders, brokers and title agents to avoid running afoul of RESPA. I have experience with mini-correspondent relationships and broker to lender transition. Truth in Lending Act – I advise lenders on complying with TILA legislation regarding disclosure of APR and other fees and costs associated with a mortgage. I assist with developing compensation arrangements that comply with the loan originator compensation regulations. Equal Credit Opportunity Act – I help banks and mortgage lenders ensure their policies and practices prohibit discrimination in lending on the basis of race, gender, religion, disability, age or other illegal factor. State Law Compliance – Many states require certain disclosure language in the forms provided to borrowers. I am knowledgeable about state disclosures and forms. 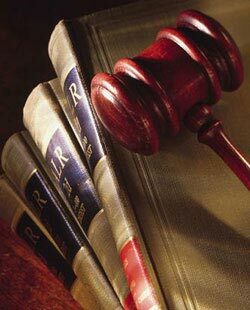 I also represent brokers and mortgage companies in pursuing or defending repurchase demands involving mortgage defects. Business Formation, Merger, and Acquisition I assist entrepreneurs with forming new companies, acquiring other companies or assets, and combining companies through merger. As an experienced mortgage law lawyer and a Certified Mortgage Banker, I know the business and I am focused exclusively on mortgage licensing and mortgage lending issues. Contact my office today to arrange your initial consultation.